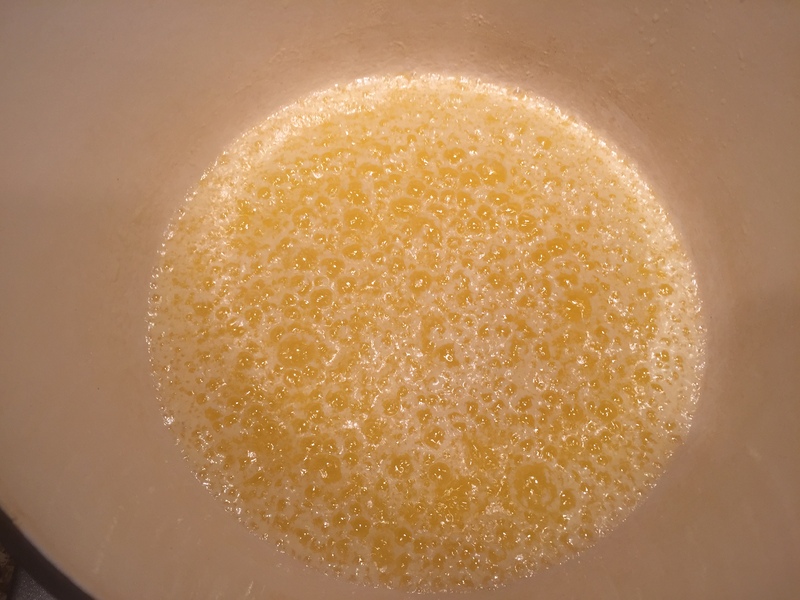 Clarifying butter is a simple process to strain out the milk solids that burn quickly as well as the water and salt out of the butter. 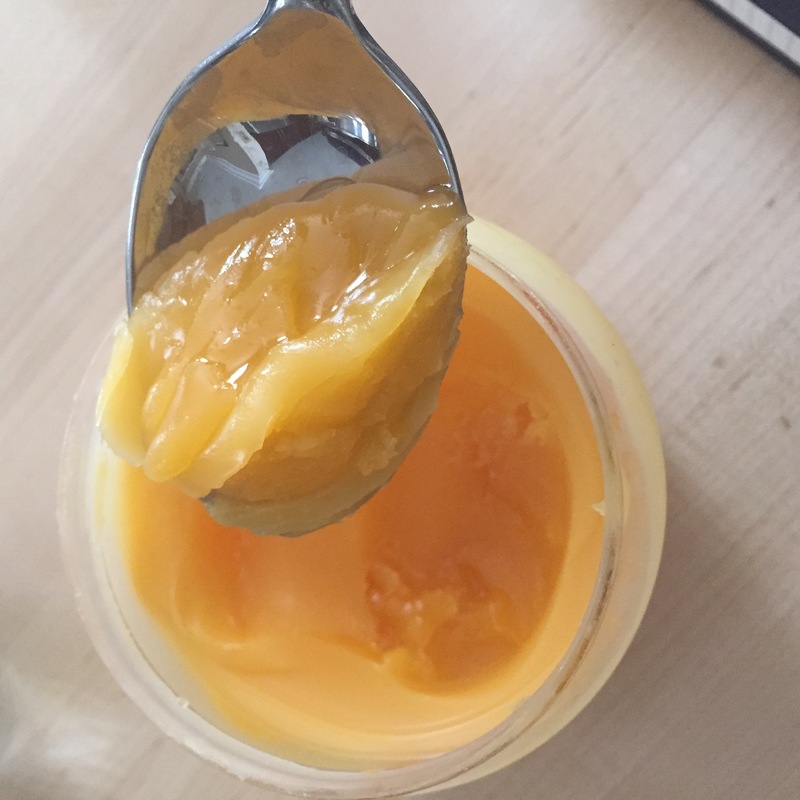 Clarified butter is the key for the outstanding flavors in middle eastern desserts and cookies. It can also be used for cooking fried eggs, steaks, chicken and veggies. However, I feel the big difference is in the desserts. So, I save this yellow gold for sweat dishes. 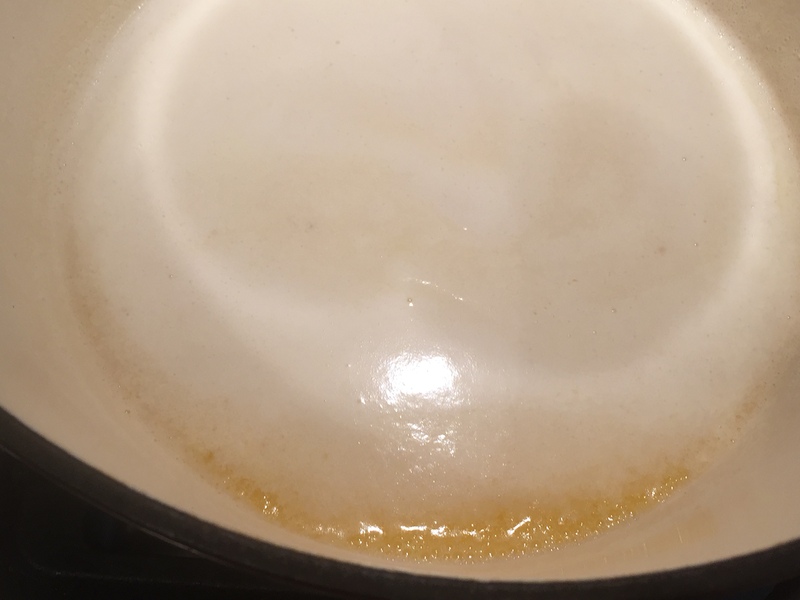 Clarified butter can stand being cooked longer and to a higher temperature. it can also be used in the place of ghee in any recipe. In a medium sauce pan, melt the butter over medium heat. When the butter is melted, lower the heat to be low enough in order to be able to maintain a boil at this low temperature. 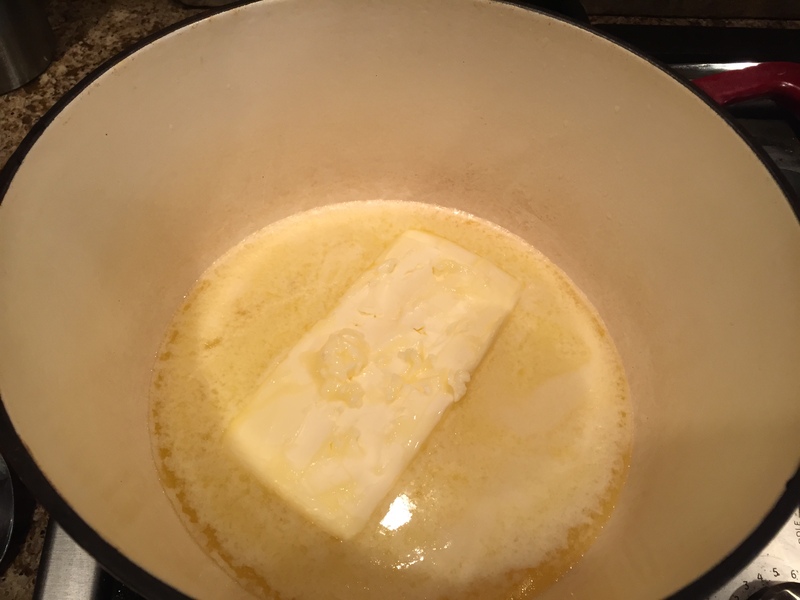 The foam will rise to the top of the melted butter as below. Cook until the butter reaches 260 degrees F or until it is clearer, the foam starts to break up and no more foam seems to be rising to the surface. Strain the clarified butter through cheesecloth into a jar. 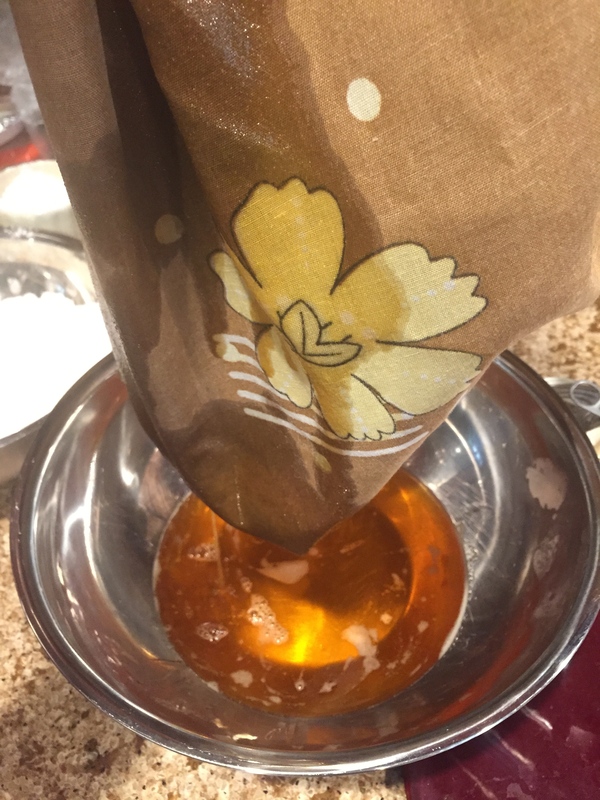 Once I did not have a cheesecloth so I used a clean pillow case that I am not planning to use again LOL! Cool completely before refrigerating. It can stay for few months in the fridge. Also, note that the butter will lose 25% of its weight in the process.